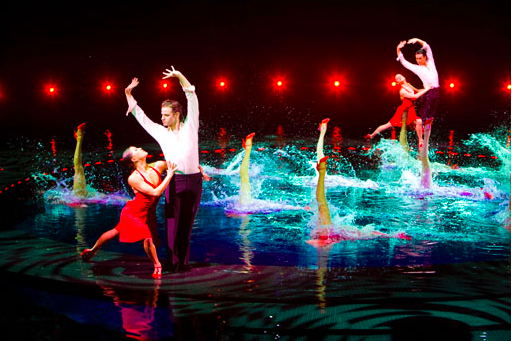 As many readers know, my favorite spectacle show in the entire world is Le Reve at the Wynn in Las Vegas. It’s absolutely breath taking from start to finish and it has to be seen to be believed. One of the reasons I love the show so much is it’s constantly evolving. Every time I come back, they have added new choreography, new music and even new effects. 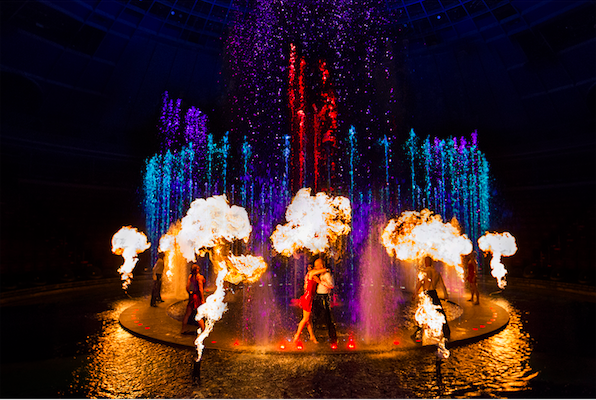 For it’s 10th season, Le Reve recently introduced a new multi-million dollar element to the show entitled the “Dénouement,” a French term for a final part of a narrative where the plot is revealed. More than 18 months in the making, the “Dénouement” includes 172 high-powered fountains, 120 individual LED lighting fixtures and 16 fire-shooting devices designed by WET, a water feature design firm based in Los Angeles, Calif. 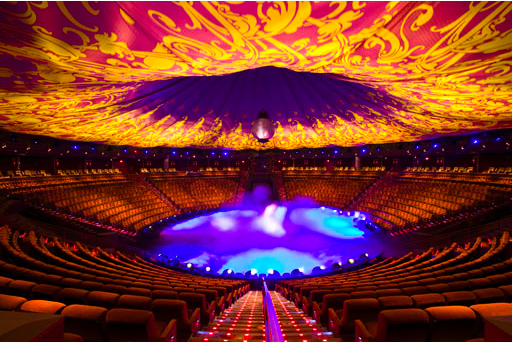 The ambitious project – spearheaded by Louanne Madorma, director of artistic implementation, and Dale Hurt, director of technical operations, for Le Rêve – The Dream – took nearly 60 designers, technicians, engineers, dancers and choreographers more than 3,000 hours to create, install and rehearse. Additionally, the advanced technologies include three Oarsmen™, 20-feet tall, fan-like walls of water that twist, billow and wave while advanced LED technologies project moving images; 12 eight-feet-wide Fire Bells™ covered by umbrella-like waterfalls; and a 47-foot-tall Rain Curtain™ that descends from the ceiling to the stage incorporating moving images projected onto the 360-degree wall of water. For more more information visit wynnlasvegas.com. They also offer backstage tours of the show, click here for a few pics! Make sure to like Theme Park University on Facebook and follow TPUJosh on Twitter! This entry was posted in Outside The Parks, Spectacles and tagged Las Vegas, Le Reve, New Scene, The Wynn. Bookmark the permalink. Trackbacks are closed, but you can post a comment.